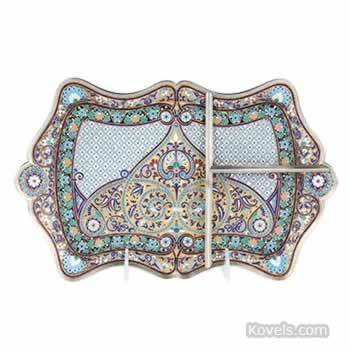 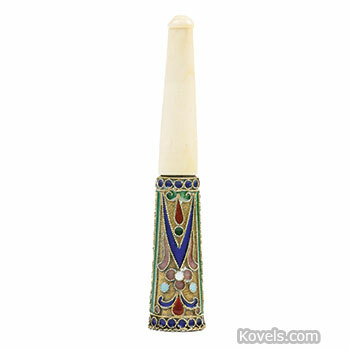 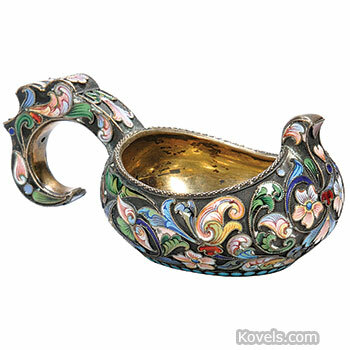 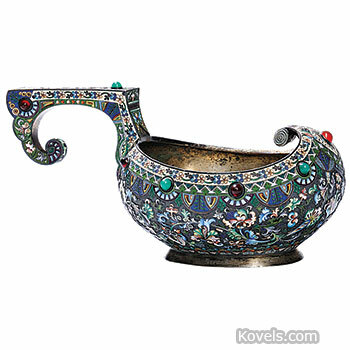 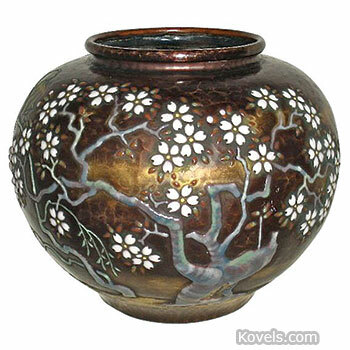 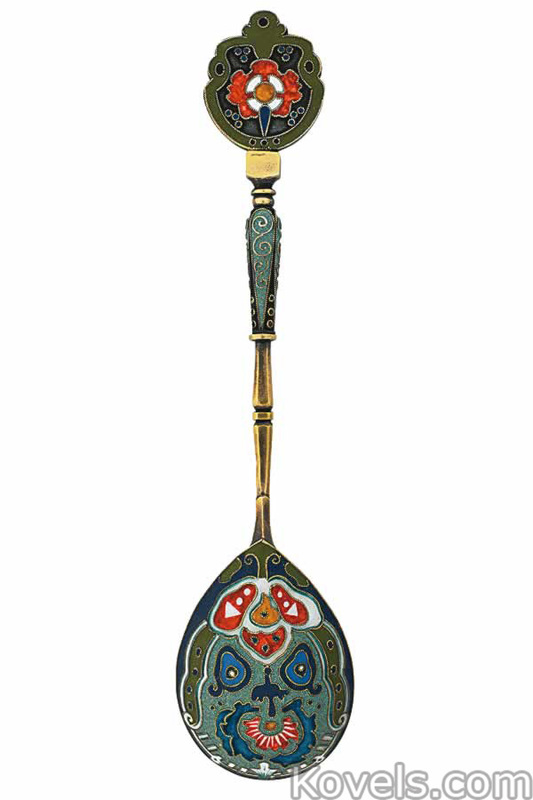 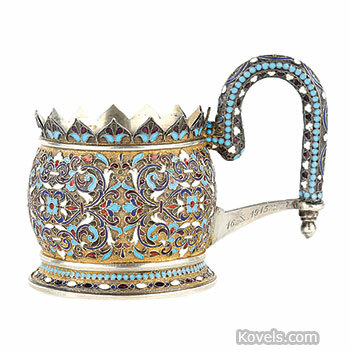 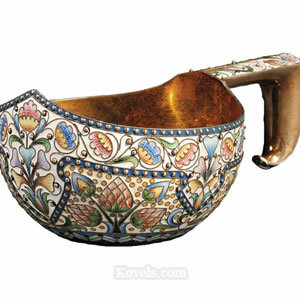 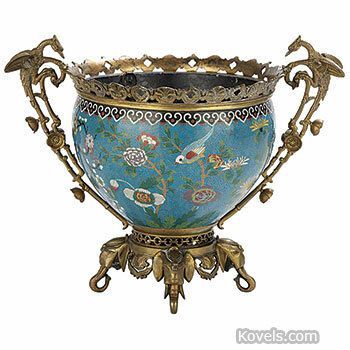 Cloisonne enamel was developed during the tenth century. 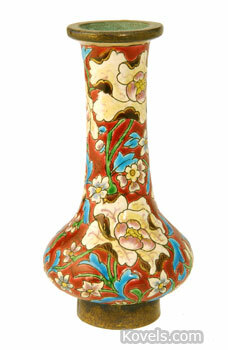 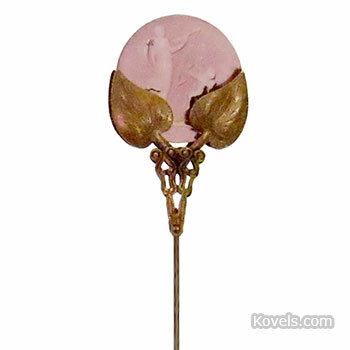 A glass enamel was applied between small ribbons of metal on a metal base. 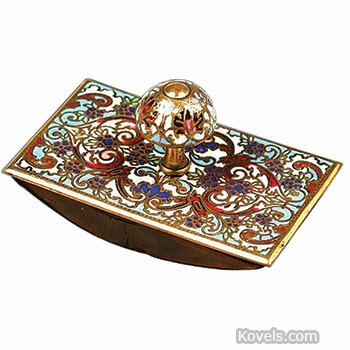 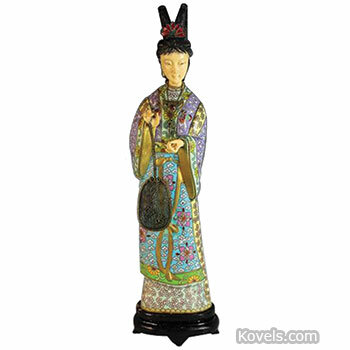 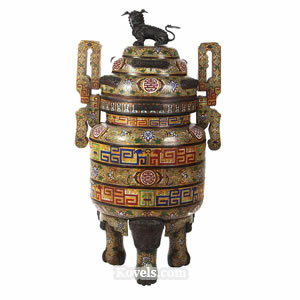 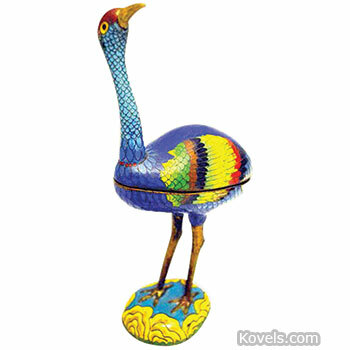 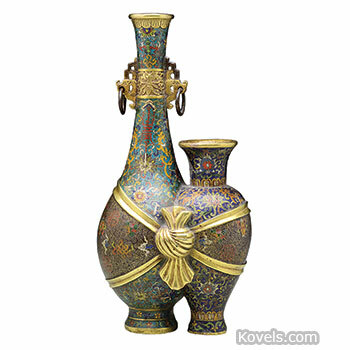 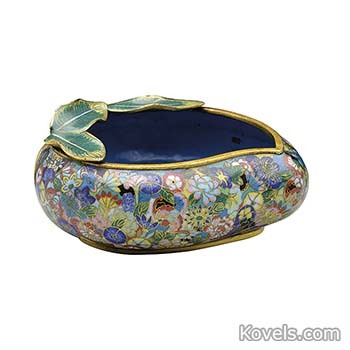 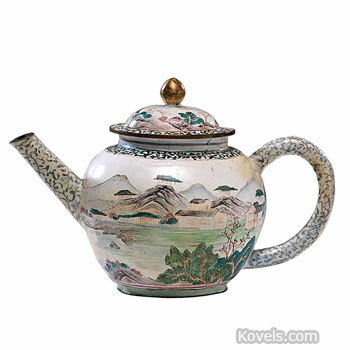 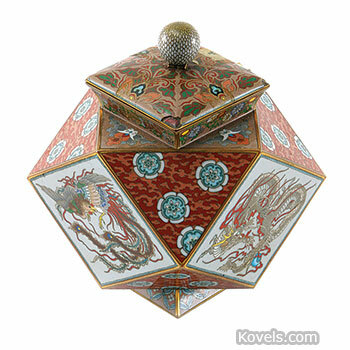 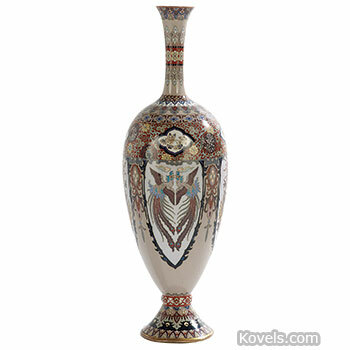 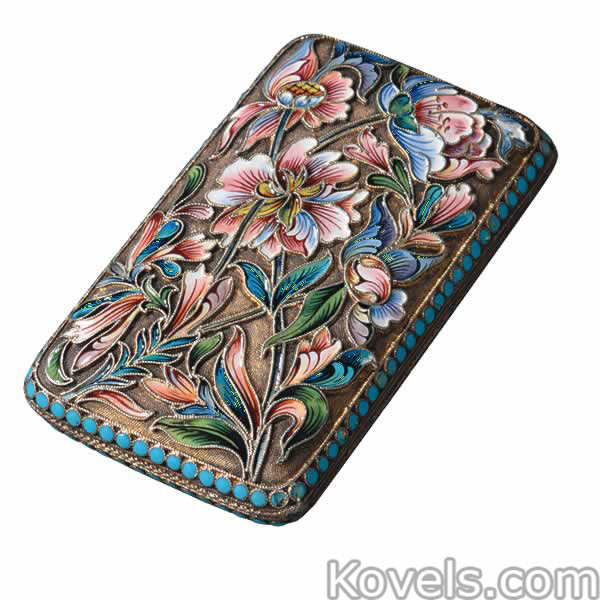 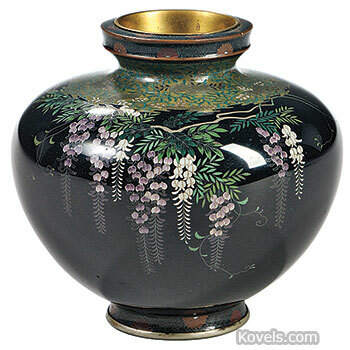 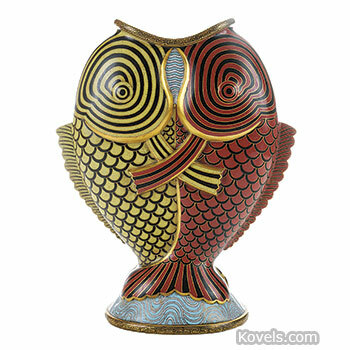 Most cloisonne is Chinese or Japanese. 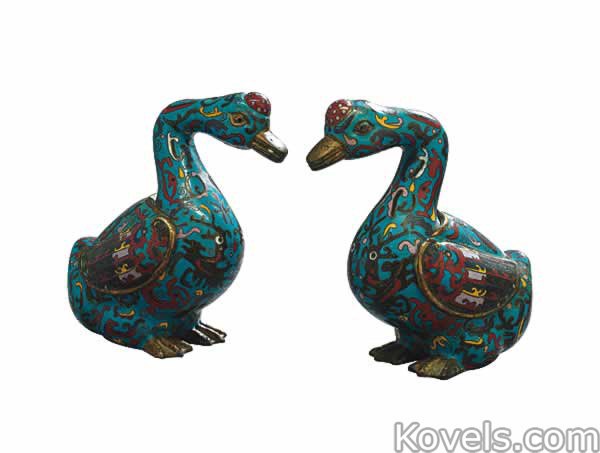 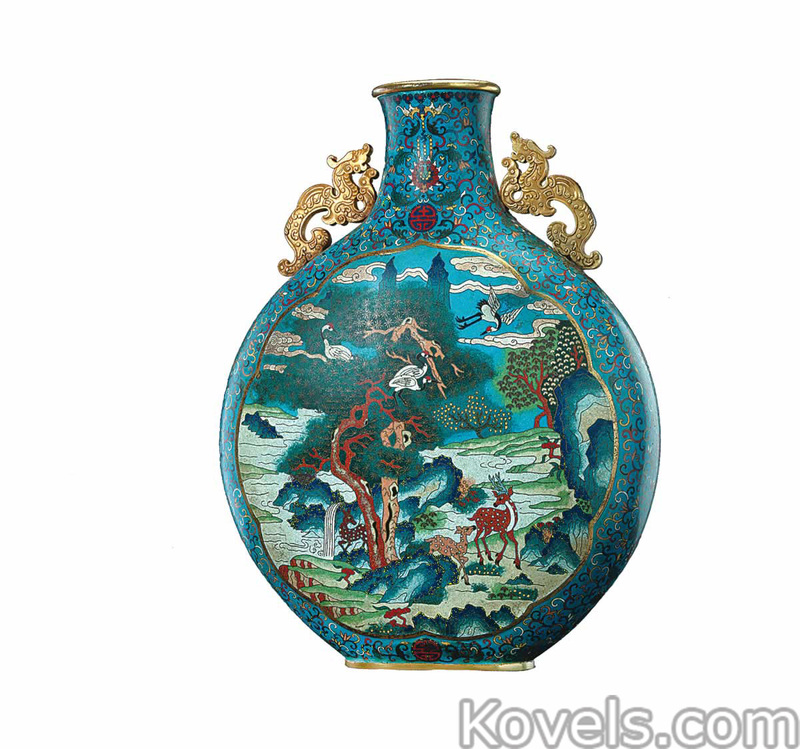 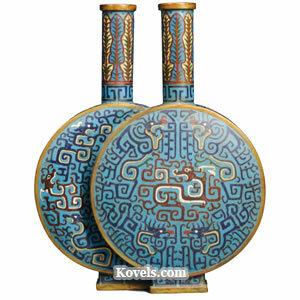 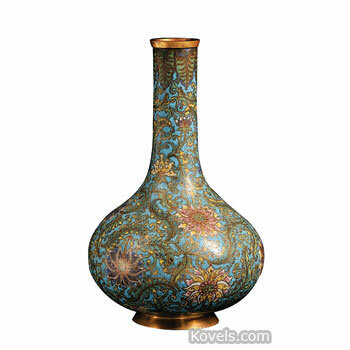 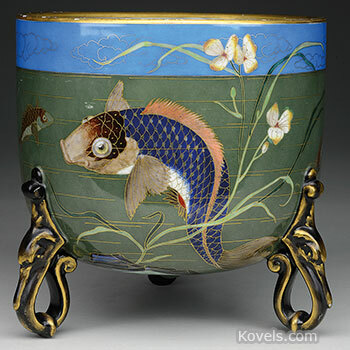 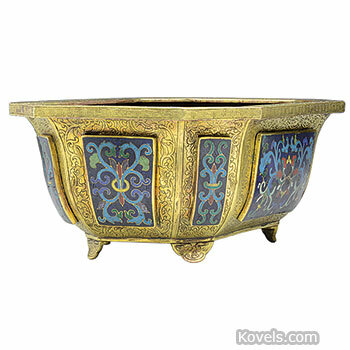 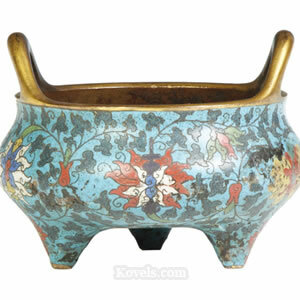 Blue was the most common color for Chinese cloisonne enamel, and bronze, then copper, was used for the metal. 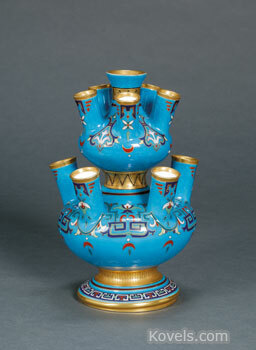 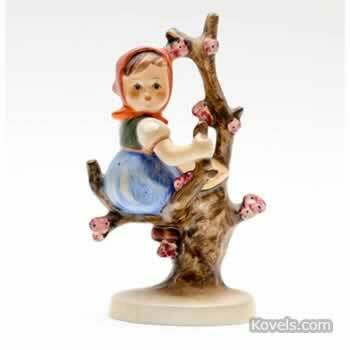 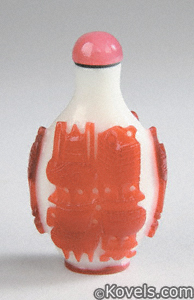 Pieces marked China are twentieth-century examples.